The pants and shirt were fine but ran small, I wore it instead of my husband. The chin hair worked good. The wig was hideous and we did not use it at all. It was all misshapen and frizzy, did not look like Shaggy at all. the material on the costume itself was thin as expected but very small. the wig was...well, just awful. it looked nothing like shaggys hair & the hairs...OMG the shedding was awful! it's everywhere. 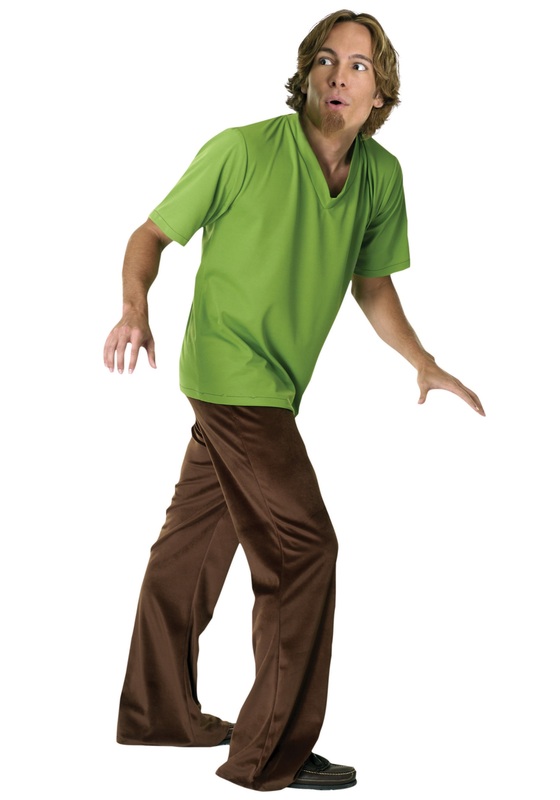 probably not the best shaggy costume. next time will make up my own.